On Sunday, April 14, we will celebrate Palm Sunday during our regular worship services at 8:00, 9:30 and 11 am. Pastor Jody will preach on “Giving Up Popularity,” and we will not only hear the story of Jesus’ victorious entry into Jerusalem, but also what it means to put all of our faith in God instead of our human ways. On Thursday, April 18 at 7:00 pm, we will remember Jesus’ last supper with his disciples during our Maundy Thursday* worship service. The word “Maundy” comes from the latin mandatum, which means command or order, and is taken from Jesus’ words spoken during the Last Supper and recorded in John 13:34, “I give you a new commandment, that you love one another.” Pastor Jody will preach on what it means to be “Humble…Yet Holy,” and we will reenact the Lord’s Supper in a way that may be new and different to many of you, and that we hope will bring new meaning to the sacrament of Holy Communion as we consider the significance of this holy night. Finally, on Easter Sunday, we will celebrate Jesus’ resurrection with four worship opportunities at Song of Life UMC. Our Sunrise Service with Communion will be at 6 am on the patio in front of our sanctuary. Pastor Jody’s message will be entitled “At Early Dawn” and will focus on the experiences of the women who discovered the empty tomb. Our Sunrise Service will be followed by an Easter Continental Breakfast, which will be served starting around 7 am. Our 8 am and 9:30 am Traditional Worship Services will be identical. We strongly encourage those who normally attend the 9:30 service to come for breakfast at 7 am, then attend the 8 am service in order to reserve space for our Easter Sunday guests. At 11:00 am, we will celebrate the Resurrection in a Praise & Worship format. We are working on including Special Music at each of the Easter Sunday services, so no matter which one you attend, your Resurrection experience will be a glorious celebration of new life! 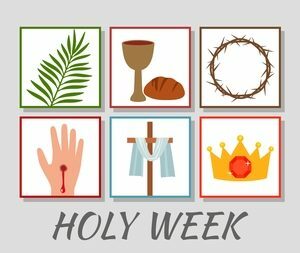 *By attending and participating in our Holy Week services, we know you will experience the Passion of Christ and his Resurrection in ways you may never have before. We look forward to sharing this very special time with you.